You see a map that demonstrates territory of Russia. map of Goryachiy Klyuch 1 cm to 1 km for Garmin. topographic map of Veselyy with gps calibration download for free. map of Tri Duba и OziExplorer calibration for gps. interesting map of Sukhaya-Tsitse this. detailed map of Stepki 1 cm to 1 km for gps. map of Solonyy 1 cm to 1 km free download. map of Shugay with gps calibration free download. actual map of Shirinka calibrated download for free. map of Sadovyye with gps calibration for gps. interesting map of Sadovoye free download. interesting map of Pyatigorskaya free download. 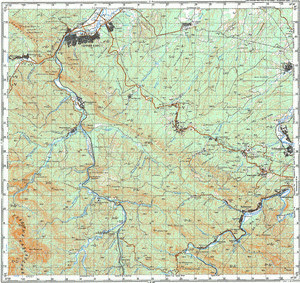 topographic map of Podnavislyy Vtoroy calibrated displayed. map of Podnavisla Pervaya calibrated for gps. free map of Pervomayskiy 1 cm to 1 km presented. topographic map of Navaginskoye with gps calibration for gps. topographic map of Melkonov with gps calibration for Garmin. free map of Malaya Sobachka и OziExplorer calibration for you.